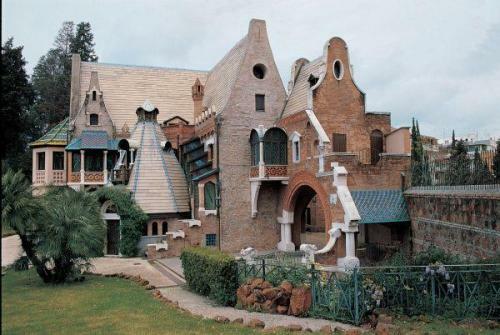 ROME – Maria Cristina Crespo exhibition at the Villa’s Casina delle Civette. Originally from the capital, Crespo has spent the past few years working on a variety of projects across southern Italy, including an installation for the 5th edition of Intramoenia Extrart, a piece for the Augusto metro station in Naples and work for the Orestiadi Foundation in Gibellina, Sicily. 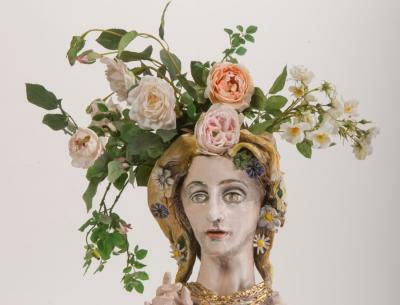 Now, however, she has returned to the Eternal City to present The Garden of the Dancing Muses: the women of D'Annunzio (Il Giardino delle Muse danzanti: le Dannunziane), a work comprising a series of ceramic vases depicting female characters from the Belle Epoque, promoted by Roma Capitale, the city’s culture and tourism office. The exhibition has been produced by Stefania Severi and staged by architect Monica Petrungaro on behalf of the Alma studio. A rare opportunity to relive the Rome of times gone by, Crespo’s exhibition celebrates iconic women of the Belle Epoque, including Loie Fuller, Ida Rubinstein and Isadora Duncan to name but a few. Considered more relevant to society life than to history, these women will forever be caught between myth and oblivion. Through her series of intricately painted vases, Crespo gives life to these characters. A treasure trove of all things Art Nouveau, Villa Torlonia’s Casina delle Civette could not be a better location to display the Crespo’s work. Even the flowers in the garden allude to that bygone era, since they are those most loved by prominent Art Nouveau figures; for instance, wisteria was favoured by Tiffany, the lily by Mucha and the rose by Mackintosh. The exhibition will be open to the public from Tuesday to Sunday, from 9am to 7pm, from 2 April until 28 June. Final admission is to take place 45 minutes before closing time.